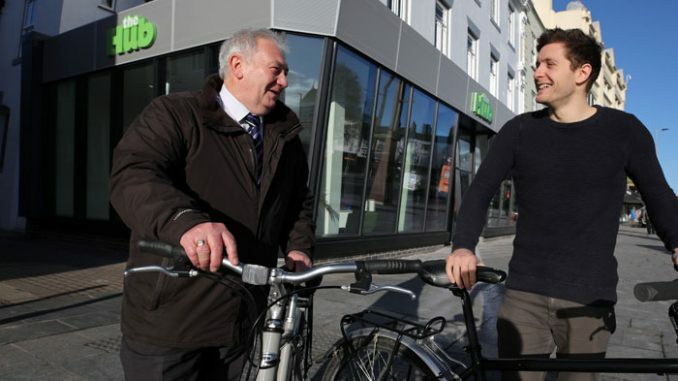 Stockton Council’s cabinet member for environment and transport, Councillor Mike Smith (pictured above, left, with Sustrans project officer Andy Elliott) said: “This is another great example of the council investing in sustainable travel in the Borough. “Moving The Hub to such a prime location at the heart of Stockton High Street makes it worthy of its name. “It also happens to be a great example of what the council can achieve when it steps in and takes control of an empty building.